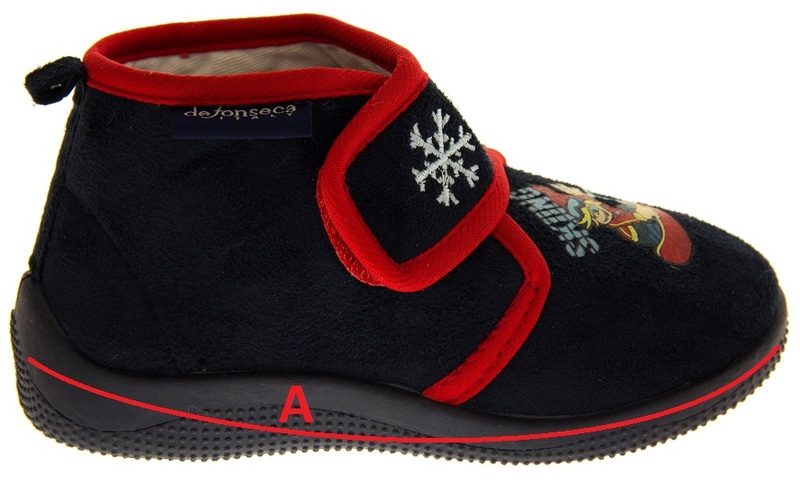 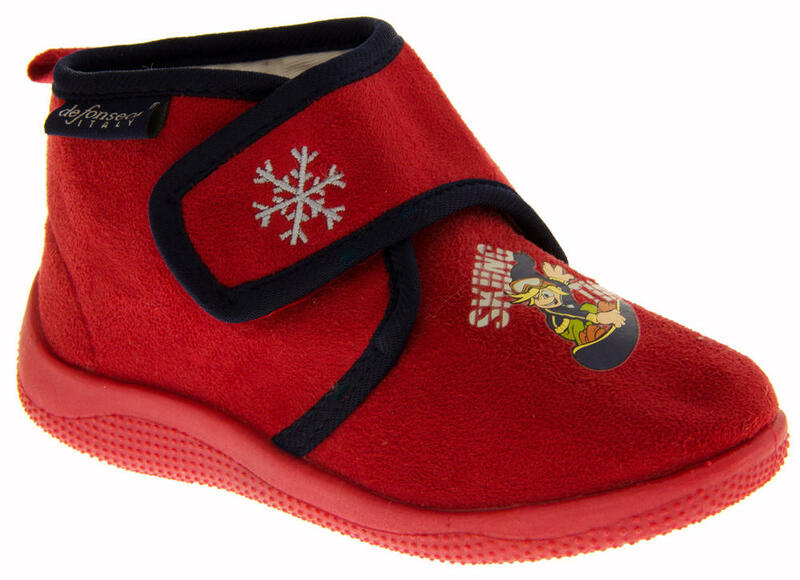 These boy's slippers from De Fonseca have a soft textile upper and an adjustable Touch Fastening fastening. 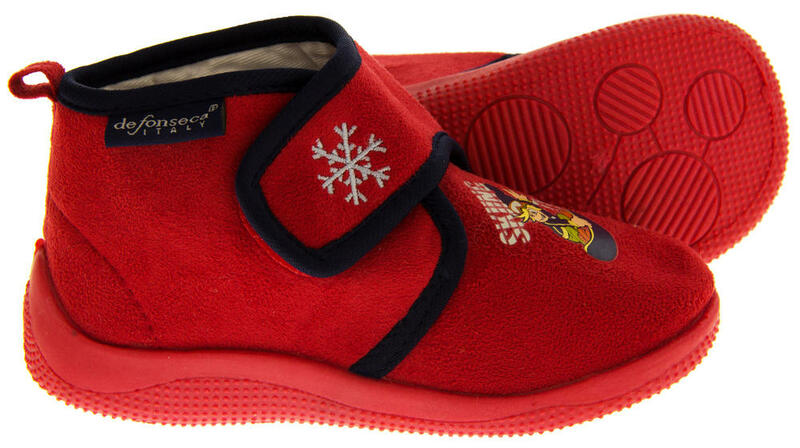 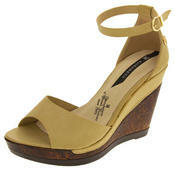 They have a sturdy slip resistant sole and are available in three colours. 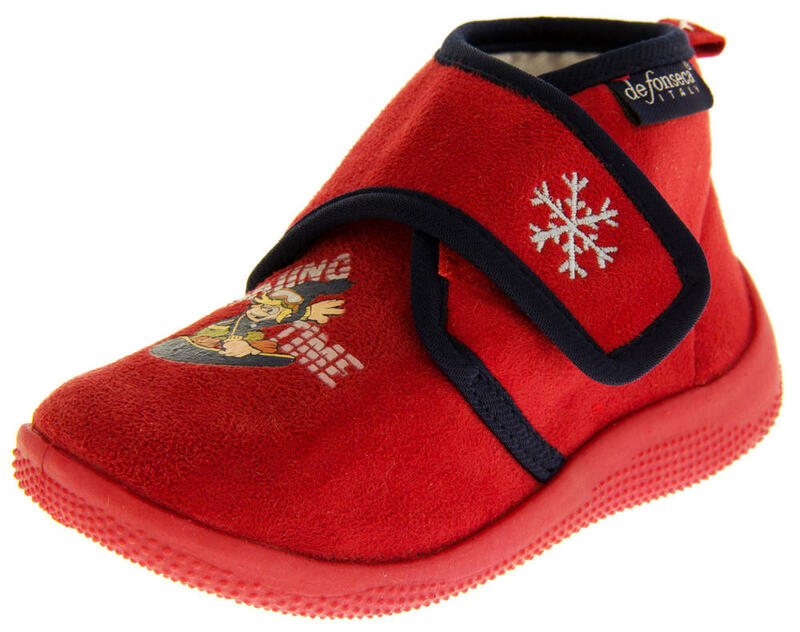 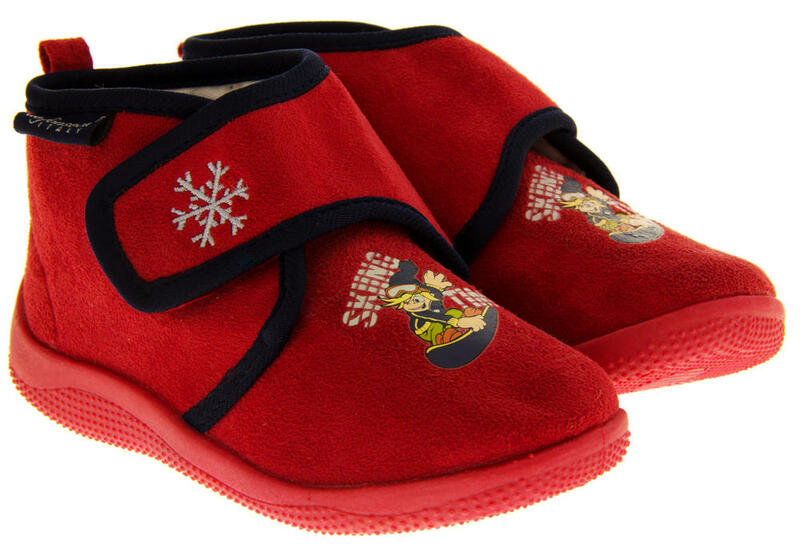 Decorated with a ski / snowboard motif, these lovely winter slippers are the perfect way to keep your little ones toes warm this winter.